As one the largest wholesale sign supply and wide format printing equipment distributors, we understand just how important it is that we be easily accessible and readily available to our customers. We know you depend on us and we take that seriously. GRIMCO® is committed to delivering the reliable and efficient service you and your customers deserve and depend on. 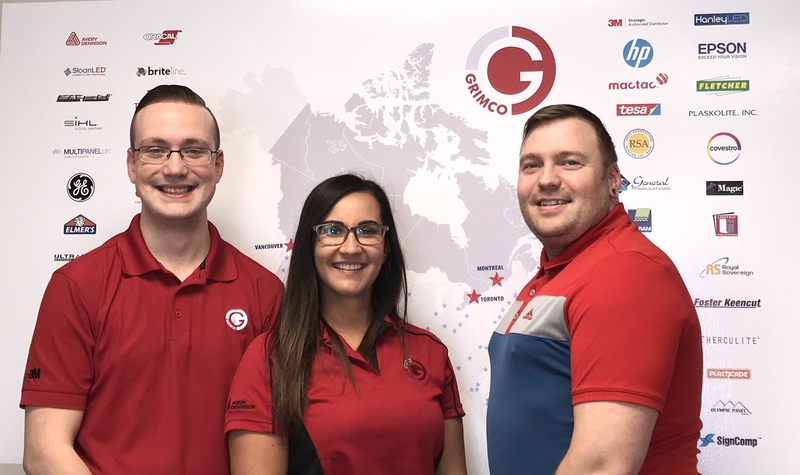 With seven locations across Canada, more than 50 locations across North America and our wholesale-only online store, we'll make sure you get what you need, when you need it, with the support you require. You know what else you'll find at GRIMCO®? People. Not just any people, either. You'll find well-trained and seasoned employees who know a thing or two about our products. So, if you know exactly what you want, they'll make sure you get exactly that. Or else, they'll guide you through our extensive, top-of-the-line products to help you make the best decision for your business. With GRIMCO®, you'll never need to tackle a challenge alone. Our staff of experienced professionals are only a phone call or click away and our network of warehouses and massive online store have got you covered.